now is your time -- your time to put yourself first. 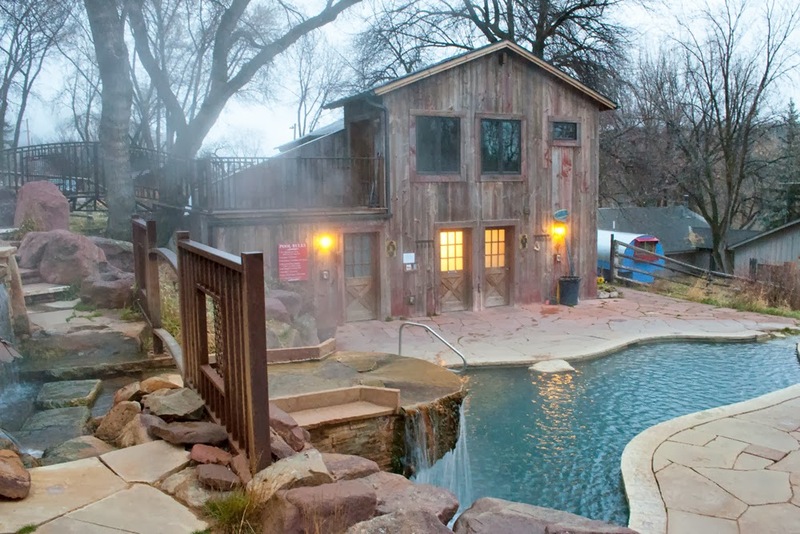 Let go, unwind, and relax in the soothing waters of Avalanche Ranch Hot Springs just outside of Carbondale, Colorado. Come for a day or stay for a week. We will dive into private yoga practices, adventure into the surrounding forest, and dive into your personal desires and dreams to bring positive transformation to your life. Through adventure, yoga, and relaxation you will find courage, strength, and confidence to get a little wild, release, and enjoy life fully! We will be at a rejuvenating hot springs, practicing yoga, and going into the woods and dive into what you want out of life. You might get a little dirty and rise out of the muck with a new perspective, with the courage and confidence to not only imagine what you want, but to grab it by the reins and actualize it. This retreat will not only rejuvenate you, it will reignite the flame within you. What would be possible if let go? What might you see on the other side? I customize each Renewal Retreat to the individual client and small groups needs and desires, providing the most transformative adventure into yourself and into the woods. With daily yoga, adventures, hot springs dips, and coaching, you will create the reality you truly seek while immersing in the beauty of wilderness and space. Adventures are season specific, ranging from hiking and biking to skiing and snowshoeing. I create a personalized experience that will not only revitalize your whole self and unlock your fullest potential. It is a spa day of adventuring and exploring into yourself, nature, and all of your possibilities. Renewal Retreats are designed to bring relaxation and release in order to bring powerful shifts, transformation, and expansion into your life. What will you discover? 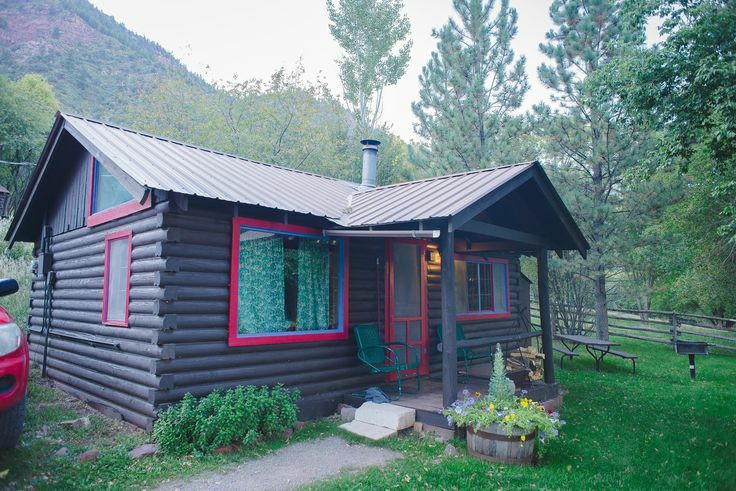 With three beautiful pools, located in the heart of the White River National Forest, Avalanche Ranch provides real space to revitalize and let go of day to day worries in order to dig deeper into what you desire. Renewal Retreats provide a powerful space for either small groups or personal, one-on-one experiences. Working closely with you prior to the retreat, I will develop a transformative experience that will fit you (and/or your group), you can be as involved or uninvolved in the planning as you prefer. As a fully accommodating experience, you will be immersed in the retreat right as you arrive. With airport pickup in Eagle or Aspen, to the gourmet meals, personalized adventures and coaching, plus private yoga, this retreat will light up all of your senses. If you are yearning to create something new, discover more meaning in your life, explore the natural beauty of the Rocky Mountains, and dive into self exploration, this retreat is for you. The work and goals created while we are together can continue to deepen post retreat, with an optional 6 month coaching package special post retreat. 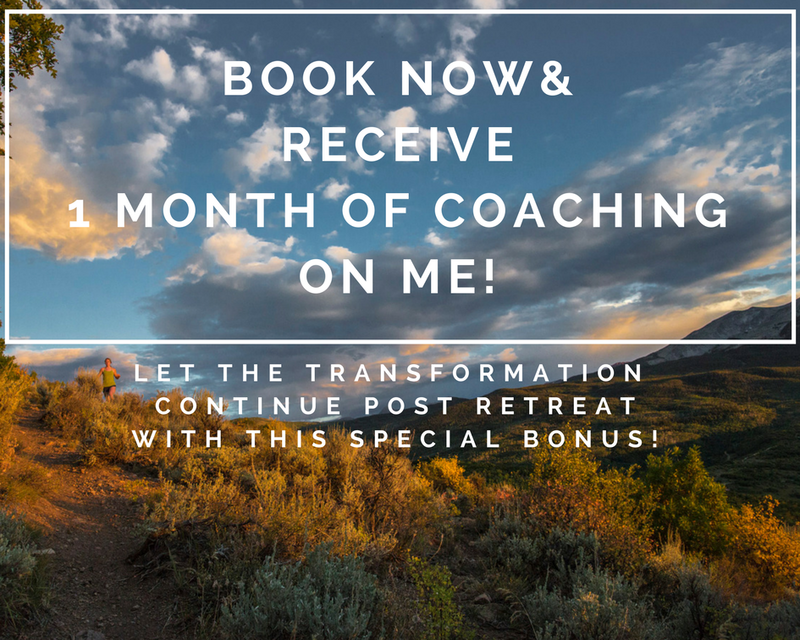 Book with a friend for your 5 day/ 4 night Private Renewal Retreat today and get 1 Month of Coaching Sessions (post - retreat) on me! This includes three on the phone or in-person coaching sessions, Soulwork & action steps, accountability to hold you to the work, and email/text contact in between sessions. This is a $900 value bonus to you from me!